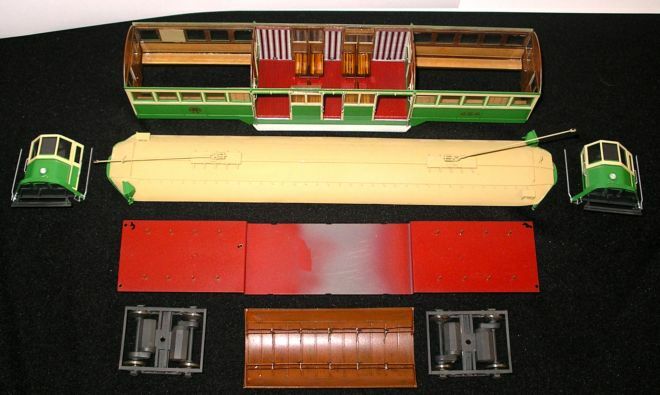 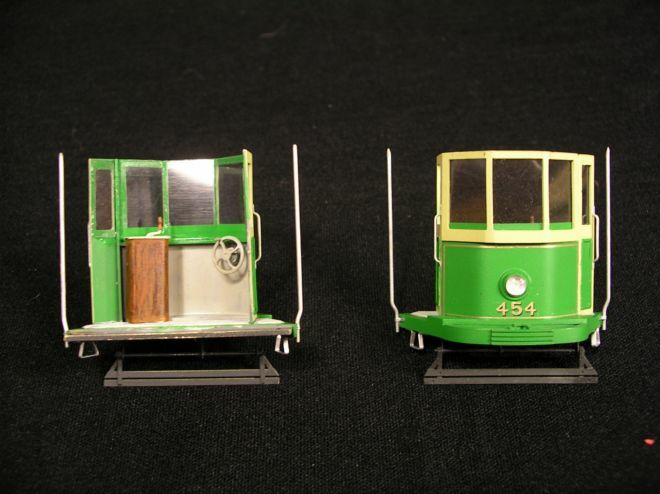 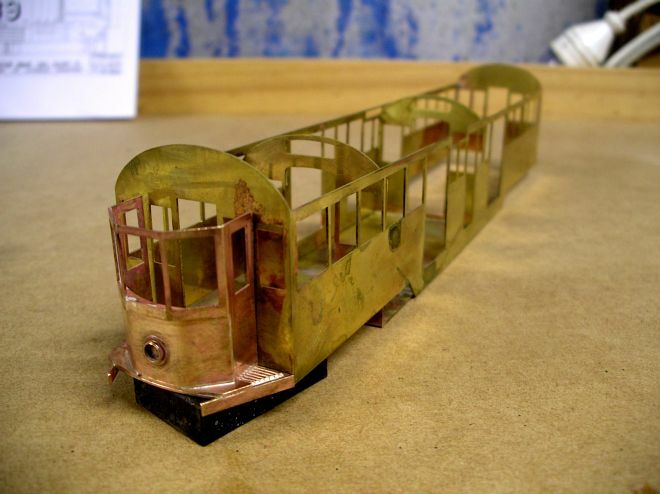 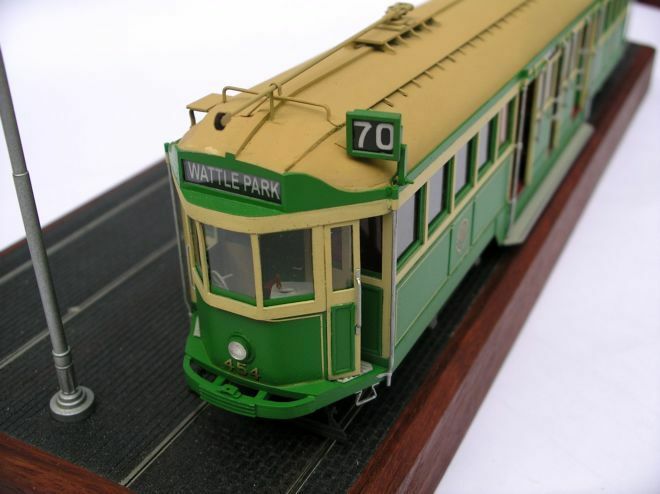 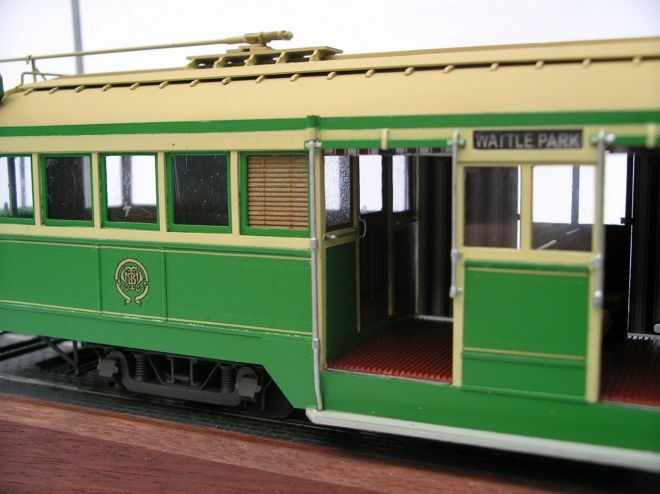 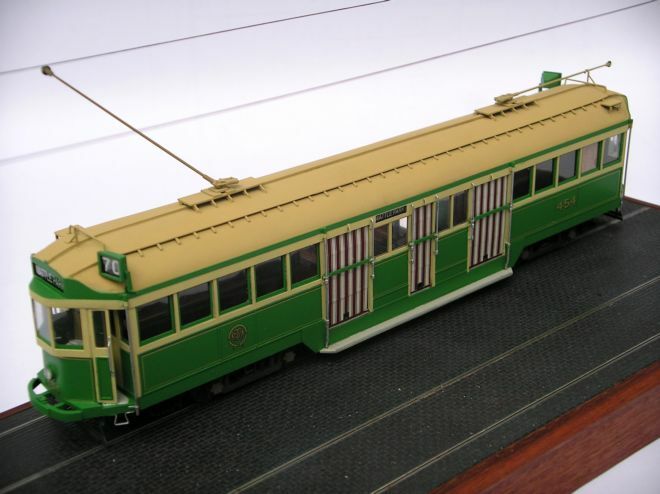 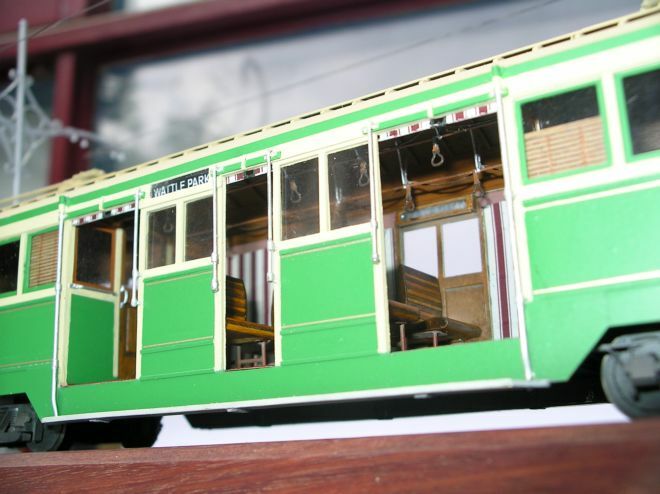 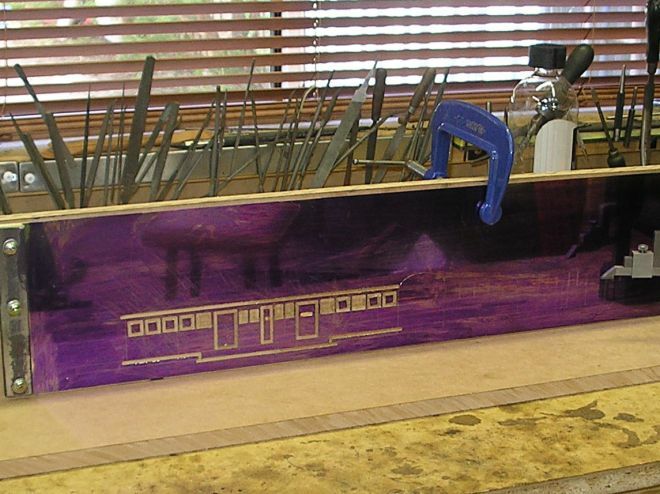 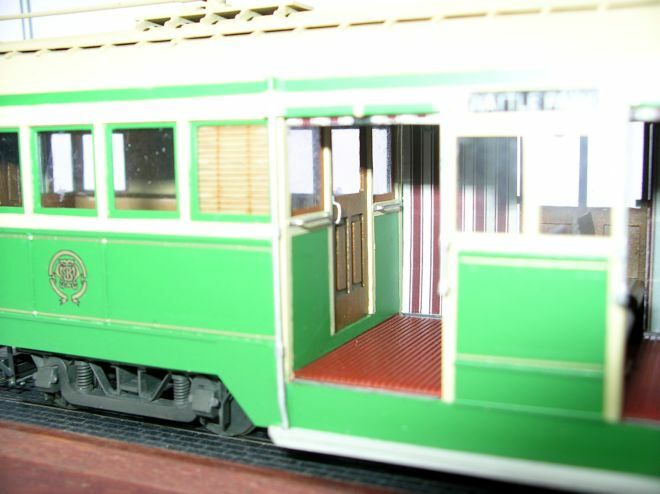 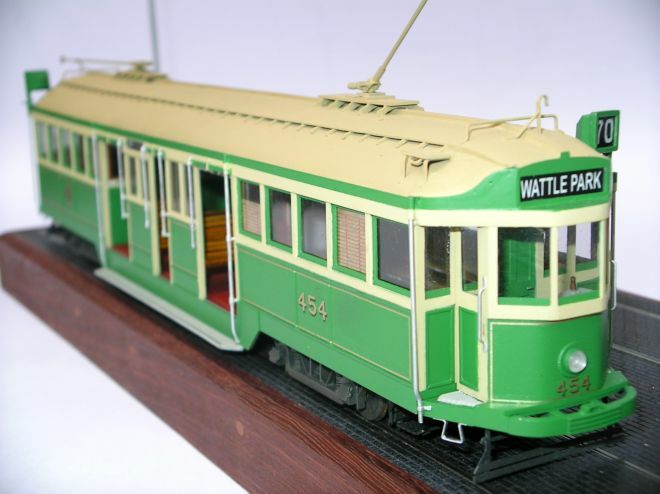 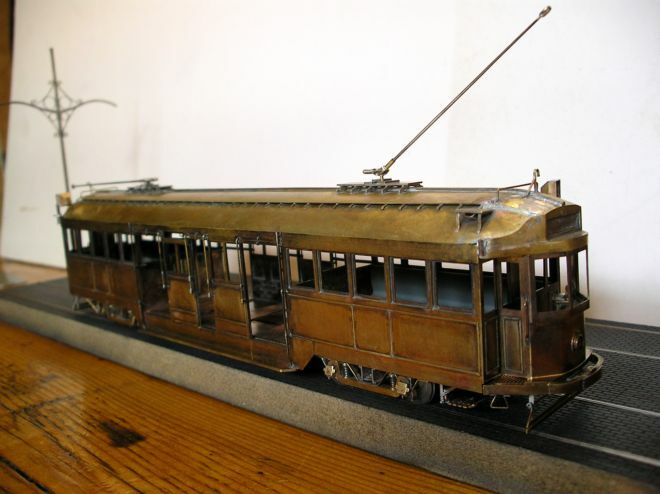 In 2007 I was commissioned by Museum Victoria (Australia) to build a 1/48th scale model of the iconic "W class" Melbourne tram for an upcoming exhibition on the history of Melbourne. 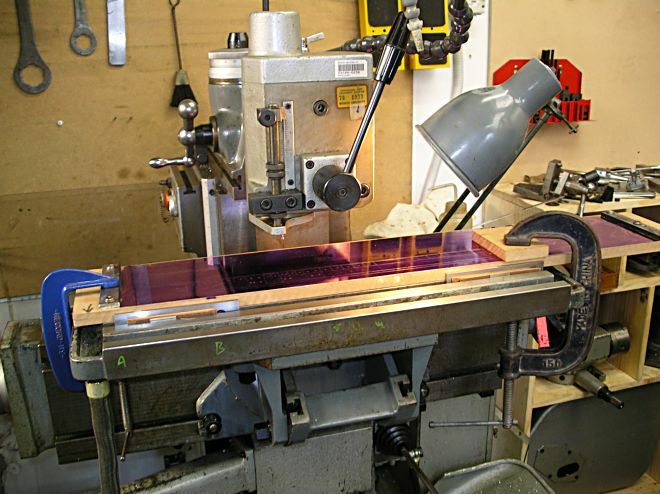 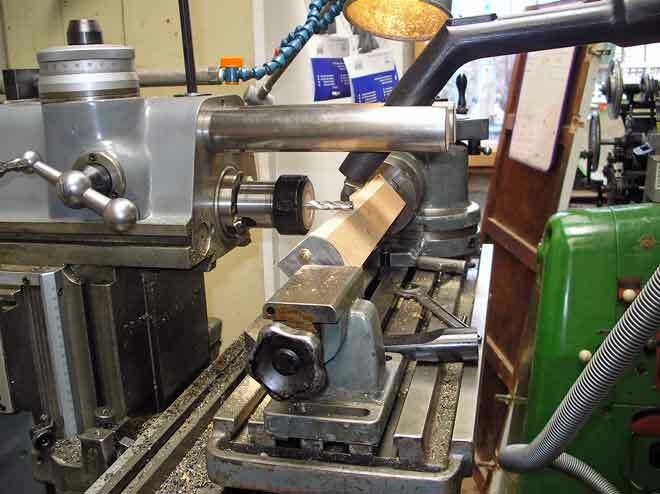 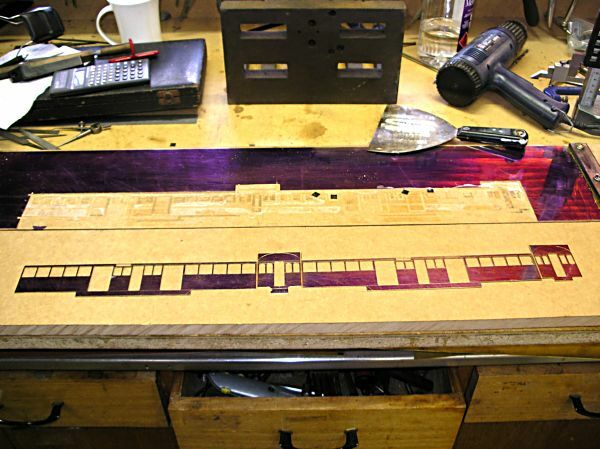 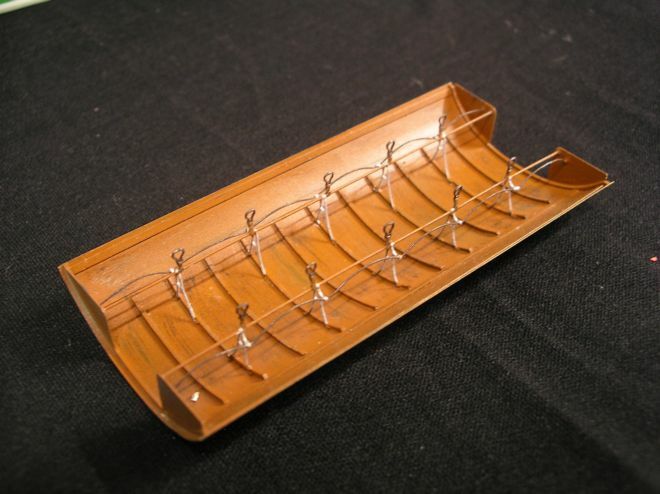 The main body was cut on a mill from 0.8mm brass sheet, the sheet was attached to a piece of MDF with strips of double sided tape,then clamped to the table and cut through with a 3mm slot drill. 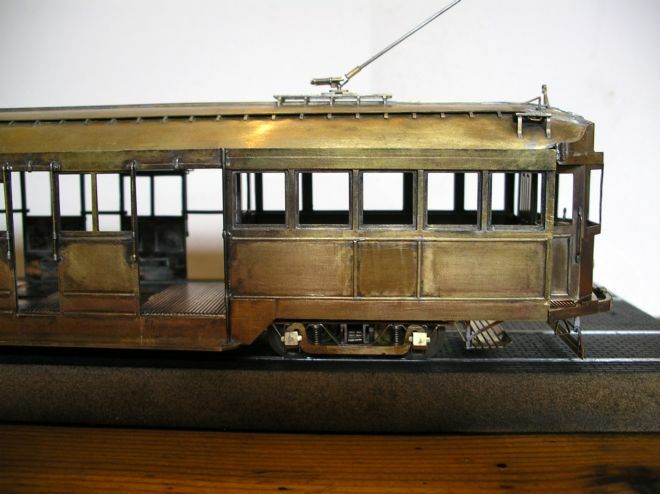 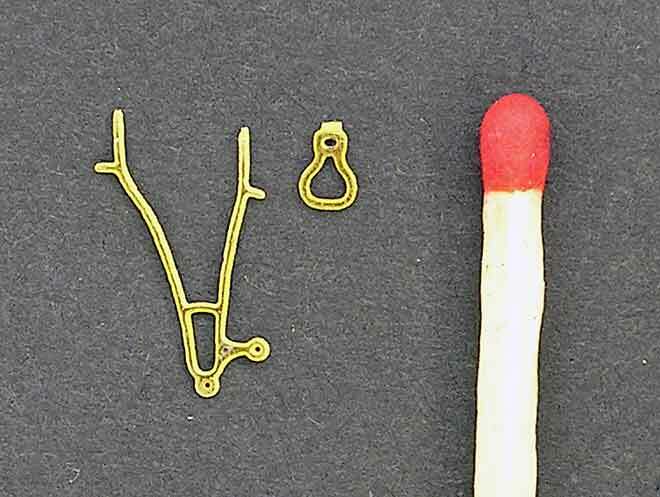 The main sections of the body were silver soldered together and the fittings and fine details soft soldered in place. 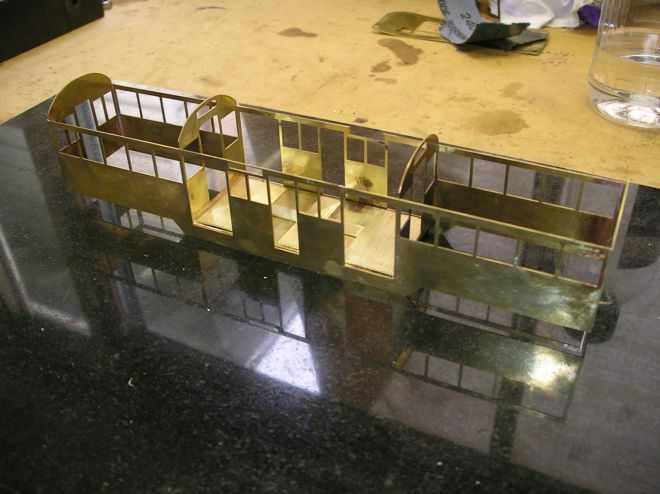 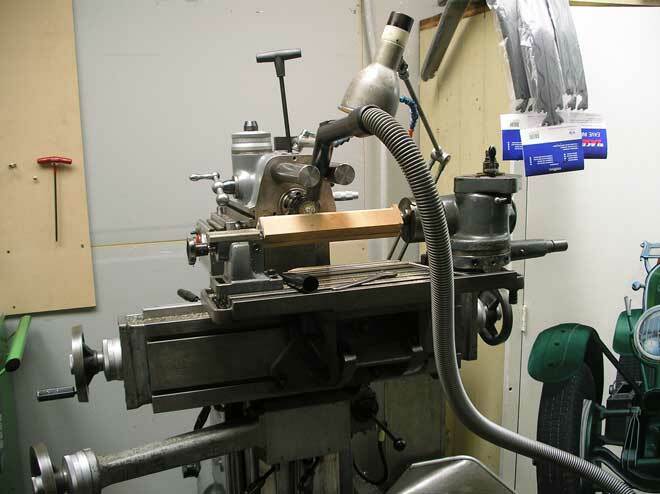 MDF was used to make the formers for the roof and driving cabins, the brass sheet was annealed and bent around the formers to get the curved shapes. 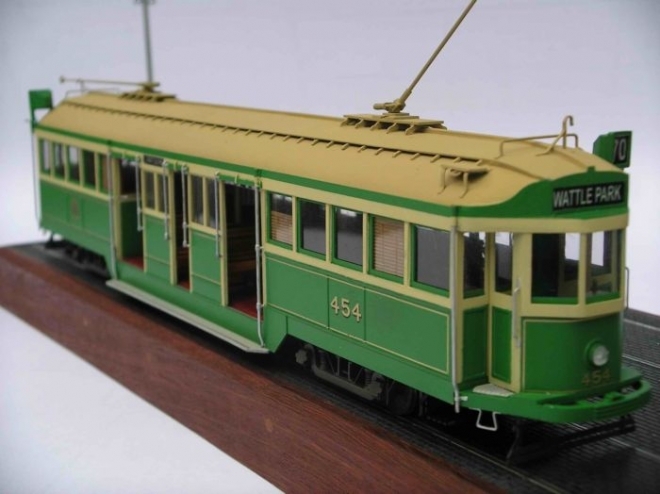 The model is currently on display in the "Melbourne Story" exhibit at the Melbourne museum, click on the link below to view it online.